Forest Green have signed winger Anthony Jeffrey from Boreham Wood on an 18-month contract and immediately loaned him back to the north London side. 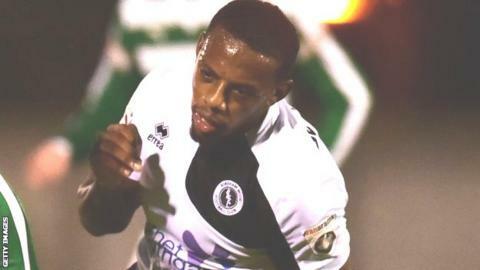 Jeffrey, 21, initially joined Boreham Wood on loan from National League South side Concord Rangers in October, before signing a short-term deal in December. He has has made 13 appearances in the National League this season and moves to Forest Green for an undisclosed fee. The length of the ex-Arsenal trainee's loan return have not been disclosed.